A mobile chatbot app that helps you appreciate the good things in your surroundings. Mobile app for both apple and android in partnership with the University of Derby and University of Sheffield using conversational UI. UX Design. A research chatbot that helps people appreciate the good things in their surroundings. The University of Sheffield and the University of Derby joined forces to work on the amazing iWUN project. The research is set to reveal the types of natural and built spaces urban residents encounter and what type of spaces benefit their wellbeing most through the app as it prompts people to notice good things about their surroundings. 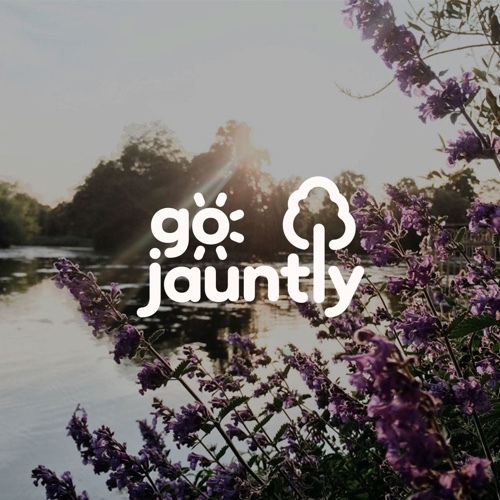 Having a keen interest in health, wellbeing and nature (see Go Jauntly), when we saw the brief from the University of Derby and the iWUN team we jumped at the chance to pitch. After successfully beating off stiff competition we started by taking a trip up north to Derby. We ran a workshop with the iWUN team at the University of Derby focusing around the journey a user would have to take in order to complete the requirements set out in the research brief. Getting users on-boarded, signed up, completing the 10-15 minute questionnaire, turning on notifications and giving us access to their location - all key to being accepted as a research participant. Providing just the right level of encouragement for people to enter their data at least every other day, without becoming a nuisance. Creating a motivating experience to finish the study, which could span over 2 months. Putting people's mind at rest regarding data protection. Due to the uniqueness of the challenge and the duration of the study, we felt it would be best if users felt at ease when taking part. To help with this, we explored a reduction in the traditional user interface (UI) elements such as content modules, calls to action and lengthy forms. Instead we wanted the interface to not even feel like an interface at all, but more like a conversation. Every user wants to feel like they are having a unique experience. Users will feel compelled to express themselves creatively (not just box ticking). Users will be more likely to complete a lengthy study period. Users may develop an affinity with the bot and keep re-visiting. So, we introduced the 'Shmap Bot', a character who guides you through the study in it's own special way. With normal interface design we would will be thinking about buttons, navigation structures and page hierarchies at this point. With conversational UI we think more about the art of conversation, conversational etiquette and how people take turns to speak based on subtle signals that we pass back and forth without even thinking about it. Without these subtleties, people would start to talk over each other and conversations would become out of sync and hard to follow. We also thought about the thread of each conversation the bot had. In this blog post by Google, it describes how all elements of a conversation are woven together in a coherent thread that includes context and the evolution of the conversation. With Shmap Bot we had to ensure we emulated a realistic 'thread' throughout the conversation between the user and the bot, this meant introducing non-essential comments and replies to make the flow appear more realistic. The thread of each conversation was specified by us using 'tree diagrams', there is a great blog post here by Anna Kulawik about how these are used. There was of course some UI that needed to be sketched out. Armed with paper and a pencil we discussed our initial thinking and experimented with the user journey. We regularly shared our latest thinking with the iWUN team. Next we created a prototype using Sketch and Invision. Using iWUN's brand guidelines and colour palette, we combined the chat bot with the questionnaire to create a coherent experience for participants. This allowed user testing to take place on location in Sheffield. We had some really interesting feedback from the trials around data privacy concerns, wording, general usability feedback. One surprising piece of feedback was around the early design of our original Shmap Bot. We had designed it to look like an Owl. For those who don't know (don't worry we didn't) one of Sheffield's main football teams - Sheffield Wednesday has an an Owl as their mascot. The concern came from people feeling alienated as the other big team Sheffield United seemingly hates Owls as a result of this! The app checks the user's location and when they travel through green space it sends them a notification. The green-spaces were mapped across Sheffield and then converted into geo-fences. This allowed the research team to prompt the user to upload the things they notice at appropriate times on their journey around the city. The app is now available for all to download from the App Store and the Google Play. It is collecting data for the iWUN project and is currently being promoted across Sheffield. You can download the app for iOS here and for Android here. For more information on the study visit IWUN's website. After working together on Shmapped, which was a successful pilot and is soon to become its own white label product, the research group came back to us with a new study focused in Derby, where the work we had done could be used once again to learn about people's connections with their surroundings. The aim was to reveal the types of natural and built spaces urban residents in Derby encounter and discover what type of spaces benefit their wellbeing most. Although the premise of the study was similar, the data captured and the duration were new. This time the study ran for a 7 day period in an attempt to increase the completion rate, sas feedback from Shmapped had illustrated that a 30 day trial was a little overwhelming for people. The original approach of the conversational UI and friendly chatbot was very well received during the Shmapped trial so we choose to iterate on the existing design for Derby. The new study required the app to be adapted for the shorter timeline with an updated questionnaire and a slightly different method for data capture. Our main concern was keeping the main functionality that worked so well while still making the app feel personalised and adapted for the new study. We used a brand new look and feel to go along with the existing functionality. The end result still feels connected to the Shmapped study, but also stands out as it’s own product and experience. As this study was taking place in Derby we also needed a new chatbot avatar that represented the area. Derby is famously known for their rams so we created a friendly ram avatar that the user could feel connected to while being guided through the seven-day trial. In just a few days we managed to update, improve and adapt the chatbot flow and design for a new audience and new geospatial area. Do you have a project where an approach like this could be beneficial? Get in touch and we can talk more!